Sometimes Jay Allred feels like a concert dad in his newsroom. 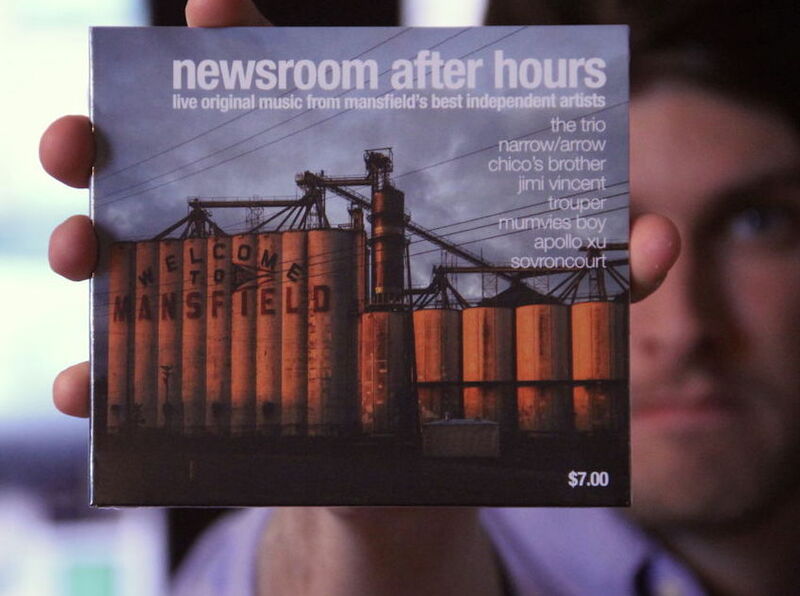 For the last two years, the publisher of Richland Source – a local news site based in the Rust Belt city of Mansfield, Ohio – has let his reporters throw house-party-style events in the newsroom with live music, food and beer. “I’m like the Dumbledore of engaging young millennials,” Allred joked during a breakout session at the Solutions Journalism Summit in November. “How many millennials do you ever see in a newsroom? They’re like unicorns,” he later added during an interview. “Our market objective is to be accessible to an age group that really has no interest in a lot of the things that we’re doing.” - Jay Allred. And those unicorns? They visit the Richland Source news site. Since the first official Newsroom After Hours event in 2015, the number of 18- to 24-year-old users on the site has increased 176 percent – more than any other age group – and the number of 25- to 34-year-old users has increased 156 percent. Sessions for both age groups are also up: 228 percent for users 18 to 24 and 203 percent for users 25 to 34. Overall, sixty-six percent of the site’s users are now under the age of 55. While Allred said that he can’t directly attribute the uptick in young users to the After Hours events – especially since the site began publishing just two years before the shows started – he believes there are enough indicators that suggest that their event-based audience engagement projects have sparked the site’s youth movement. And if they’re not correlated, the shows are a ton of fun, Allred said, and they only cost him $135. The idea for the After Hours project came from Dillon Carr, a former Richland Source reporter who now works for the Pittsburgh Tribune-Review. Carr, a musician himself, was a fan of NPR’s Tiny Desk, a series of video performances recorded at the desk of All Songs Considered host Bob Boilen. In 2014, Carr approached Allred and said that he wanted to create a local adaptation of the concert series that would inspire readers to appreciate Richland County’s thriving music scene. Allred gave Carr the green light, and Carr invited a local songwriter to the newsroom to play a set. The reporting staff got some cameras and set up a makeshift recording studio, and Allred grabbed some cheese trays and some beer. The result? The video is in fact gone, but all jokes aside, that first-time flop captured the real beauty of Richland Source – a young, digital-only news organization rooted in an entrepreneurial approach to storytelling and audience engagement. The reporters – just like any team members using an iterative design process on a creative project – went back to the drawing board, practiced shooting and editing video, and guess what? They got better, and so did the project. So the seed was planted, and the following year, they tried again. Now, just a few years after that first recording session, they’ve worked out most of the kinks and host regular shows, now in a larger newsroom, at least once a month from April to September. The events are free and open to all ages. Guests get free beer (21+), food, and coffee – all sponsored by local businesses in exchange for a mention on the Facebook event page and in the event write-up. A local sound engineer now records all of the music, and the newsroom staff shoots a video of the band’s set. After the event is over, the musicians get a live studio recording on Soundcloud, a video of their performance on YouTube, and an event write-up published on the Richland Source site. Some shows have drawn more than 100 people, and in 2016 they even released a live album of some of the recording sessions. Each show costs only $135 for the audio recordings, plus payroll to keep some of the reporters on the clock for a few extra hours – peanuts, really, considering the benefits of accessing a young audience who otherwise is not interested in traditional local news. To Allred, it’s a small investment for the publication, which has done everything from cover high school proms to host community baby showers that raise awareness about infant mortality. Jillian Bauer-Reese is an assistant professor of journalism in the Klein College of Media and Communication at Temple University, where she teaches courses in design, data, and solutions journalism. You can contact her at [email protected] or @thesmallpicture.